I miss the Con Air and Face/Off Nic Cage. Courtesy wikipedia and fundamentalism. 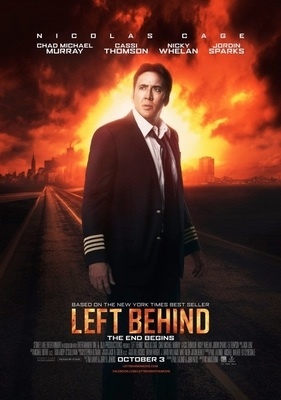 Rapture fever is back, as a new iteration of the Left Behind film franchise prepares to slither onto screens, this time sans Kirk Cameron. (How desperate is Nic Cage getting, anyway?) Now is as good a time as any to kick Left Behind in the behind and reiterate that the rapture, quite simply, is a lie. If that doesn’t suit you, NT Wright has another reading of this infamous passage, stressing Roman imperial imagery in Paul’s language. The point is simple enough: the Darbyist rendering of this pericope is only one of many which are plausible, and is far from the dominant reading throughout the history of the church and among top contemporary scholars of the Bible. At minimum, the dispensational rendering is hardly enough of a home-run around which to build an entire eschatology. 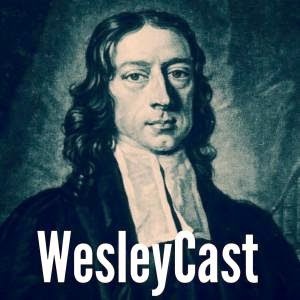 Of course, dispensationalists will point to other passages to prove the rapture, including Jesus’ fuzzy parables (“one will be left in the field!”) and arguments from silence (after chapter 3 in Revelation, the word church is not found again until the end!). All of these are specious, though, and nothing carries the weight of the aforementioned Thessalonians passage. I have referred to rapture theology in the pulpit as, “escape hatch religion.” This is why it matters that Christians do not buy into this popular but horrific doctrine: it turns the ministry of the church into gnostic bunker-huddling. The rapture reverses the logic of the incarnation, actually. On the Darbyist scheme, Christ was incarnate of the Spirit and the Virgin Mary so that he could one day rescue the church out of a world going to hell. So much for, “Thy Kingdom come on earth as it is in heaven.” Abraham’s mission, fulfilled and intensified by the faithfulness of the Messiah, has been mutated from blessing the world through the elect into saving the elect and letting the world go to pot. So give the rapture a good swift kick in behind. It’s not just un-biblical, it’s not just bad theology, it is a pernicious lie. The good news is that God loves His creation and His creatures. Jesus came to renew both, not save one at the expense of the other. Thanks be to God. I think it’s bad theology, but I am wary of saying it’s a lie. Partially that’s because saying it’s a lie means saying it’s a heresy and if it’s a heresy then anyone who holds this opinion isn’t just wrong but committing a mortal sin. If it is something like this then it means that not only can the concept not stand, but neither should the people (meaning disfellowship or excommunication or just not having anything to do with them). The other reason, is that I know people who hold these views and some of them are family. I can say they are wrong, but it would be hard for me to say they are liars. It’s just my view of this. I think there is a difference between being taken in by a lie and being a liar. There is a difference between saying a teaching is a lie and calling people who believe the lie are liars. It is the teaching that is a lie! Those who hold that view are just wrong. I was trying to refer to the doctrine itself as a lie; if I veered into ad hominem, I apologize. I don’t like to say that those taken in a lie are liars, but this particular heresy is so prevalent that I think non-Darbyists (especially here in the Bible Belt) need to be a little more aggressive in counter-punching. There is a huge growing interest in Biblical prophesies in light of today’s events in Russia and the middle east. Churches that are offering sermon series, special speakers, and classes are often filled to overflowing. People are hungry for Bible preaching and are hungry for knowledge about what the Bible has to say about the end times. They want to knlw about concepts such as the rapture, the great tribulation, the antichrist, the book of Revelation, and the seven seals. Pastors are getting phone calls daily about these events. Next month will be the second of four “blood moons” (prophecy of Joel). An event verified by NASA. Whenever these occur, there is also an accompanying event in the middle east. What will it be this time? For an excellent read about this subject see the Pastor Hagee’s book “The Four Blood Moons”. You can also see him explain this phenomena on the internet. Of equal interest is the resurrection of the Christian church in Russia. It seems that Mr. Putin is determined to make Moscow the center of the world’s Christian faith! So what is this all about? Where does this fit in the area of Biblical prophecy ? My wife dragged me to see this movie TODAY! I have never been a pre-tribulation Rapture adherent, but she wanted to see it. So, alas, I went.